HDawg is getting to the age where he loves to match and identify matching pairs. He's got a picture book with pop out puzzle pieces and one of his favorite things to do is to match the photo of the duck with the duck piece or the shoe photo and the shoe piece. A few weeks ago, I saw these cute wooden chips on sale at my local craft store and the wheels started turning in my little brain. 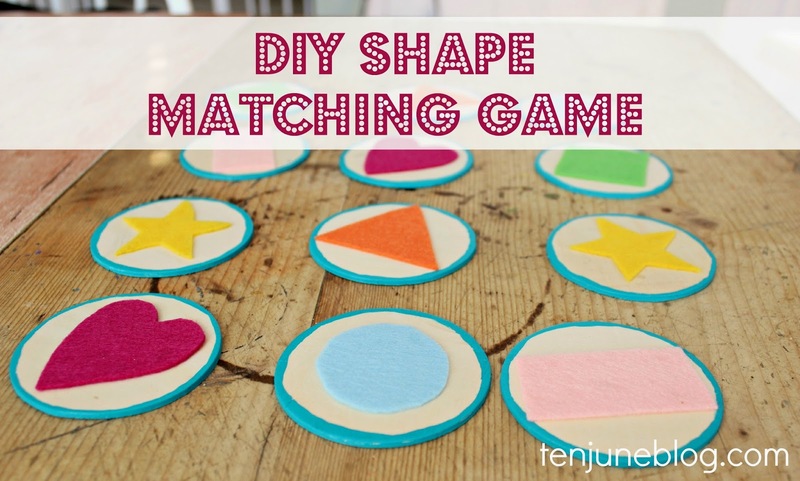 I could make H his own fun, portable matching game! 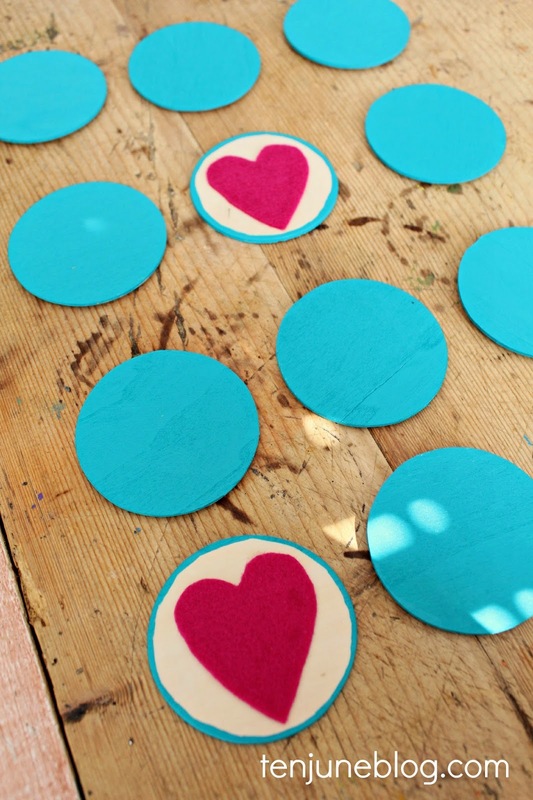 All you need for this craft are wooden craft circles, felt, scissors, craft paint, paint brushes and glue. I have fabric glue shown here, but I actually used regular clear Elmer's craft glue, since it's safer just in case the chips go in the kiddos' mouths. 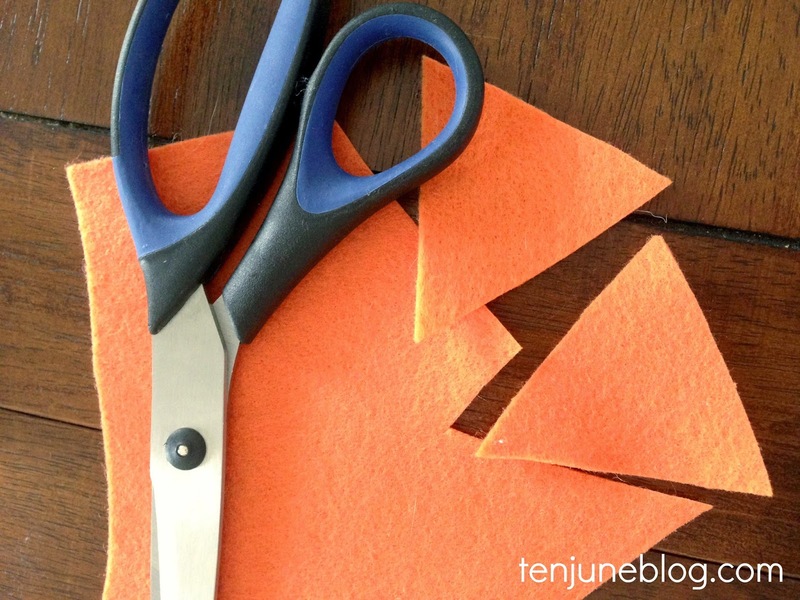 This is a really fun and easy craft. You could easily get your older kids involved, too! 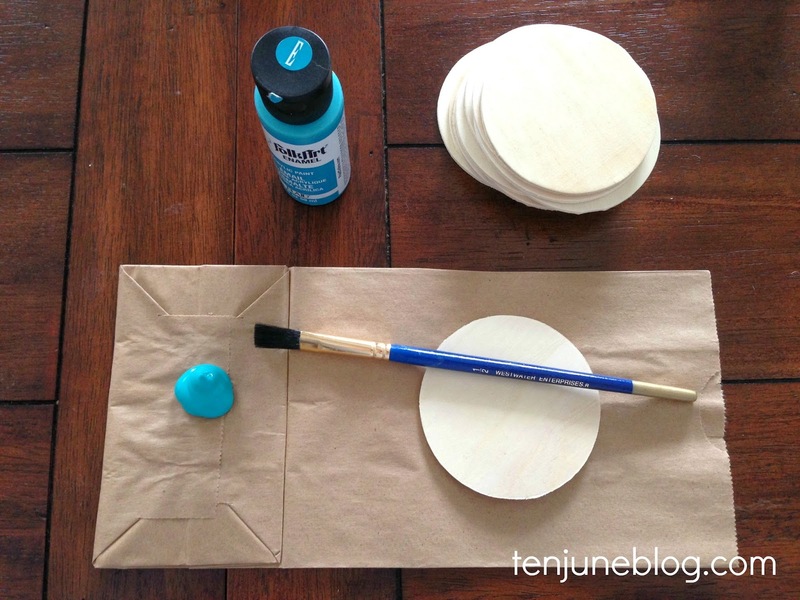 Start off by painting the wooden circles. 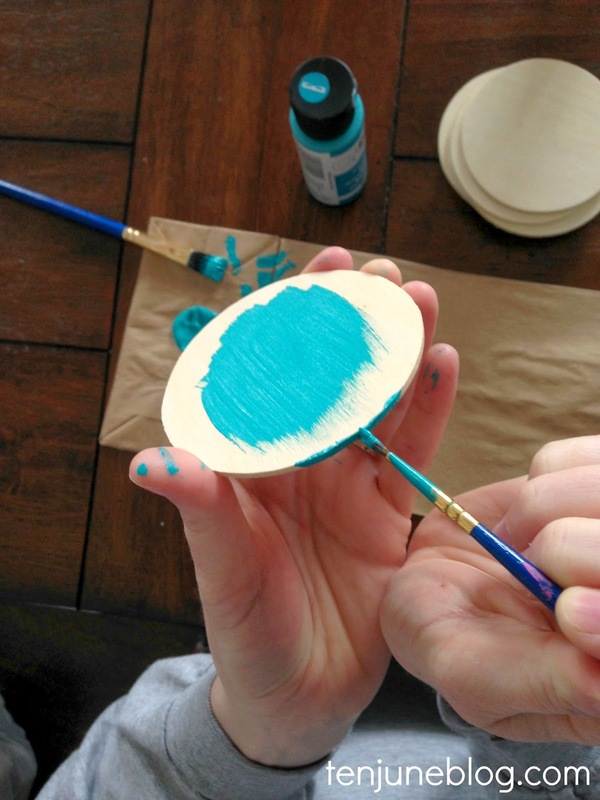 I decided to use this fun aqua craft paint (which is non-toxic, FYI) to paint the back, sides and a small part of the front of my circles. 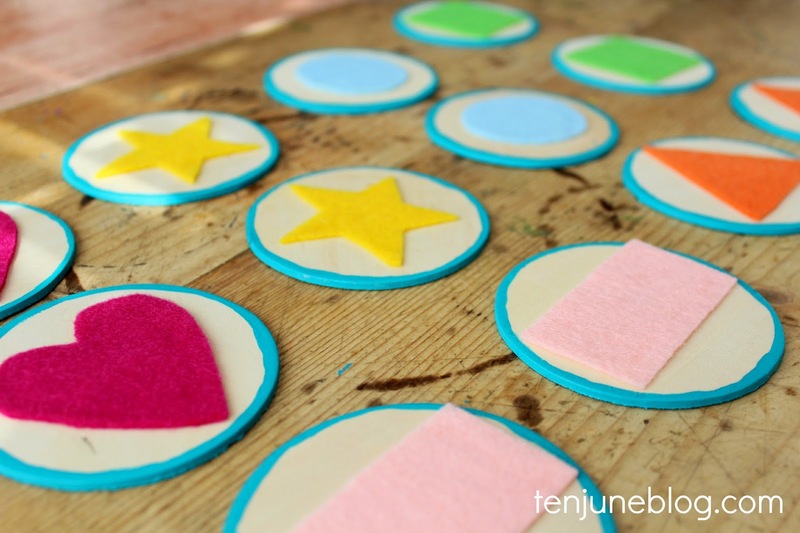 While the circles dry, cut out your felt shapes. 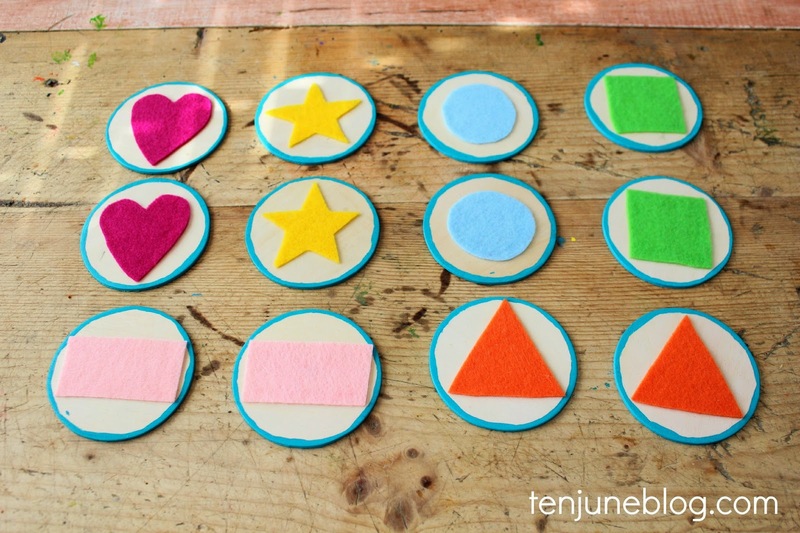 I chose six classic shapes, including a heart, triangle, circle, square, rectangle and star, in bright, fun colors. 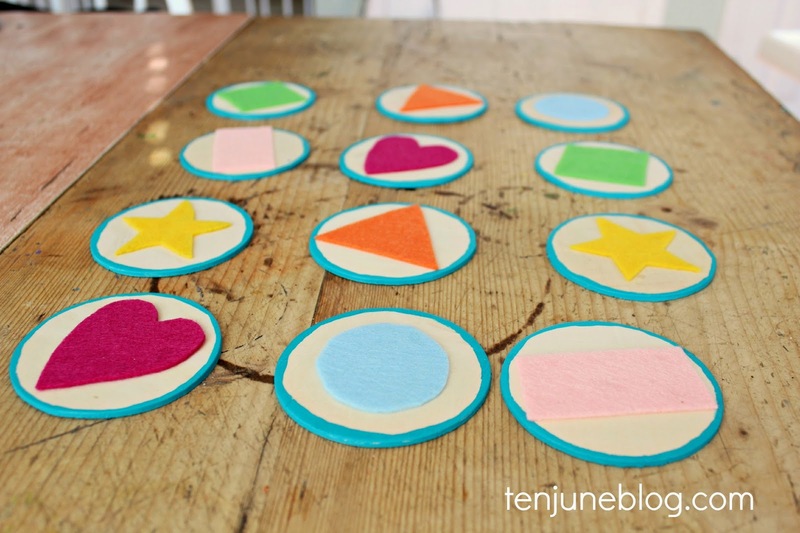 Now simply glue the shapes onto the wooden circles and you've got a fun, educational and inexpensive toy! H really loves the toy! Right now, he focuses more on stacking and sorting the chips, but we have a lot of fun talking about the colors and shapes, so I know he'll be matching them up before we know it. I even dressed up a plastic bag with some stickers and washi tape to store the game. I spent $0.25 on each wooden circle and had all of the other supplies at home... not bad for less than $3! Psst! 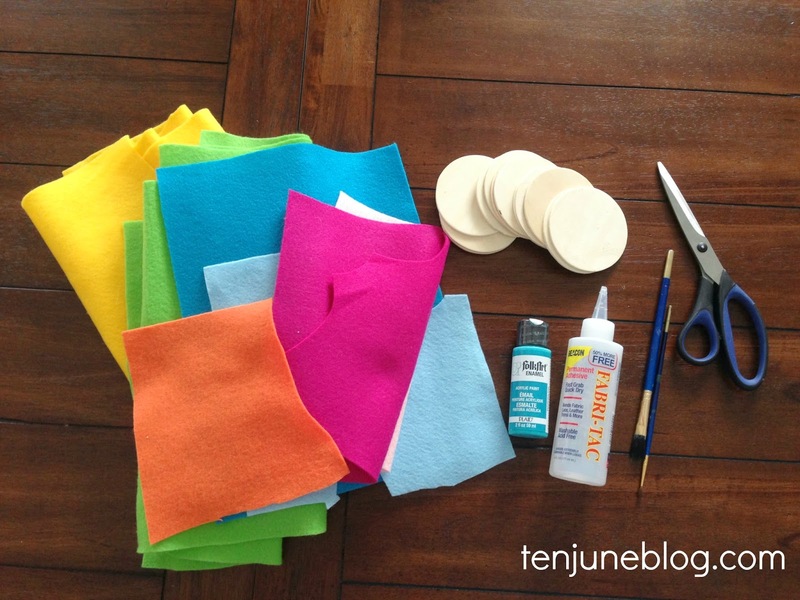 I'd love to feature your latest project on tomorrow's Tuesdays at Ten June... send me your projects! 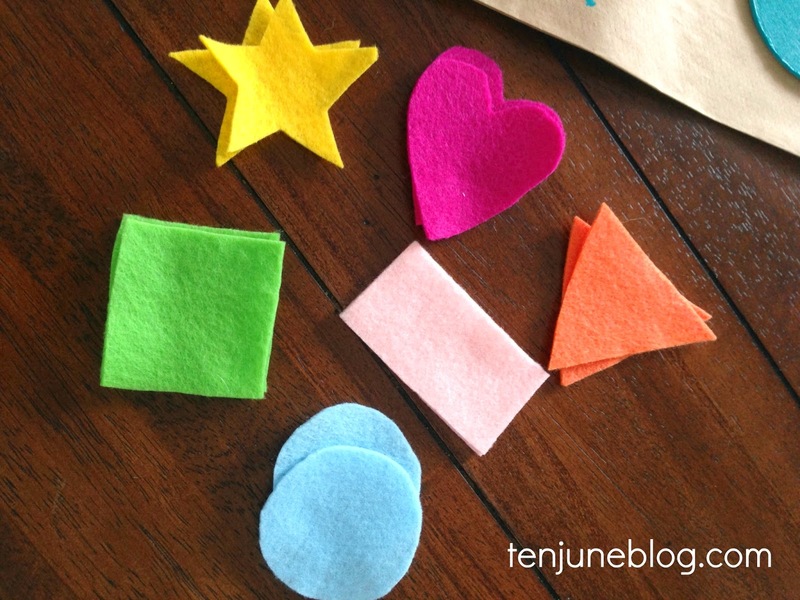 Such a cute project! My students LOVE matching games :). I loveeee this! 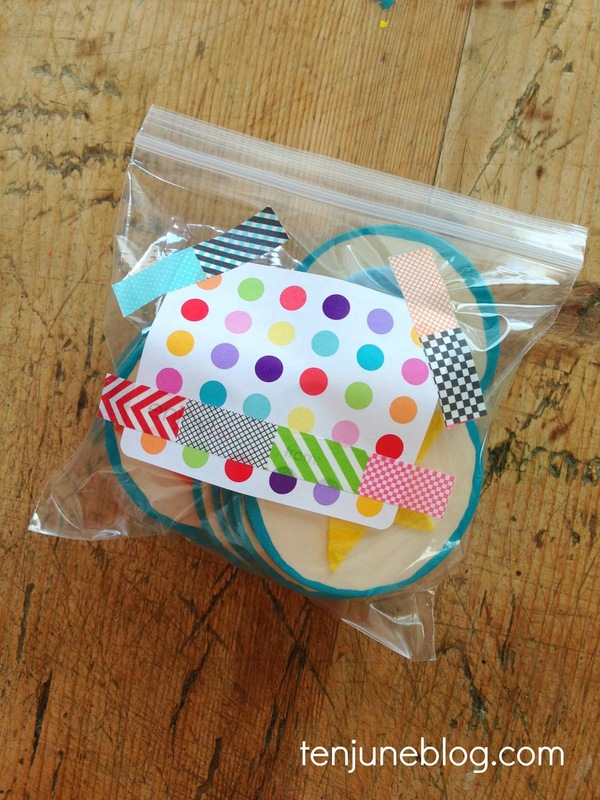 You're so creative and still on the go even with baby! Cute! And I really appreciate the picture with paint all over your hands. I always make a mess of my hands whenever I paint anything. Every single time. My son loves the matching game! This is so neat! Thanks for sharing!